22 June 2018 marks the 70th anniversary of the SS Empire Windrush ship arriving in Britain from the Caribbean. Around 236 migrants from the merchant vessel were housed in the labyrinth of underground passages at Clapham South when they first arrived from the former British colonies. In the lead-up to this anniversary, Siddy Holloway, Hidden London Engagement Manager, gives a first-hand account of welcoming a very special guest back to Clapham South deep-level shelter for the first time in 70 years. The 29 May was an exciting day for the Museum’s Hidden London Team. 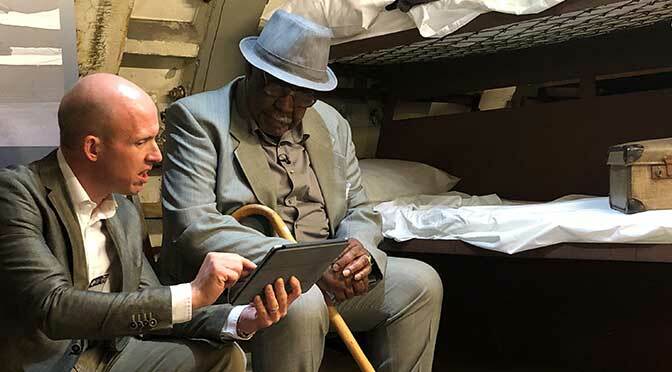 In partnership with the Windrush Foundation, we welcomed a former resident of Clapham South deep-level shelter, 70 years after his last overnight stay. Mr John Richards was born in Jamaica in 1925 and moved to England in 1948 to seek pastures new. 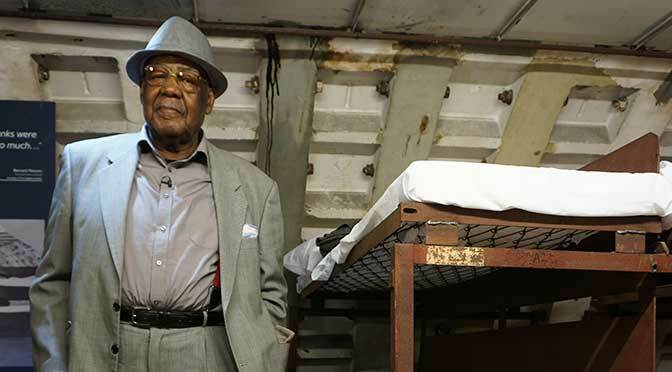 He was a passenger on the Empire Windrush, the famous merchant vessel ship that offered affordable passage to citizens from Commonwealth countries in the West Indies. John, like all the passengers, paid £28 for his passage to come over to Britain to seek employment and help rebuild the country after the war. When the ship docked at Tilbury on 22 June 1948, around 240 of the passengers had no pre-arranged accommodation. They were all offered lodging by the government in the deep-level shelter at Clapham South until they found employment and housing. When we began researching for our tours of Clapham South deep-level shelter in 2015, we realised there were very few first-hand accounts from people who stayed in the shelter and what they thought of their peculiar accommodation. We wanted to rectify this and began our search to find someone who had stayed in the shelter having arrived on Windrush. In April this year we partnered with the Windrush Foundation and they put us in touch with John; needless to say we were over the moon. John is now 92 years old, so a date was arranged for his visit which happened to be very close to the 70-year anniversary of his arrival in the UK. 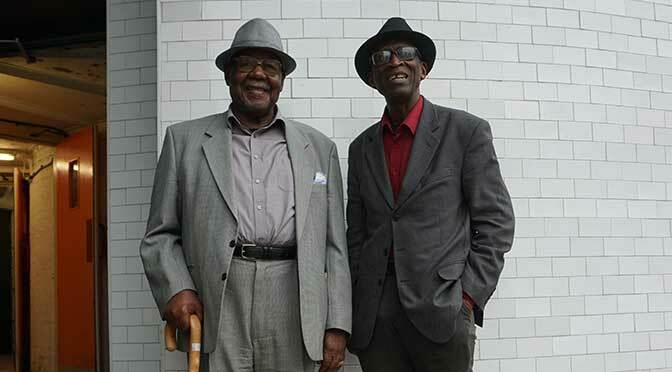 We met him and Arthur Torrington, the president of the Windrush Foundation, on a rainy day in South London and escorted them to the shelter. John, dressed immaculately in a grey suit, was excited to see what had changed and said that he hoped he would be able to remember as much as possible. Once down in the shelter which lies 40 metres below street level, John’s memories started flooding back to him. He told us about his work during the war, his decision to come over to Britain and his three week stay in the shelter. As we settled into hearing about John’s story, the deep rumble of the Northern line passed over our heads. John stopped for a moment, smiled and pointed to the ceiling “that sound used to wake us up every morning”.